Have you ever had a present that was stolen? This is what happened to two of the three tailor's sons. And that whilst they were sleeping at the inn no less! The naughty owner stole Table Be Laid from the oldest son. But he also took off with the youngest son's donkey... Do you think the sons will ever get their things back? 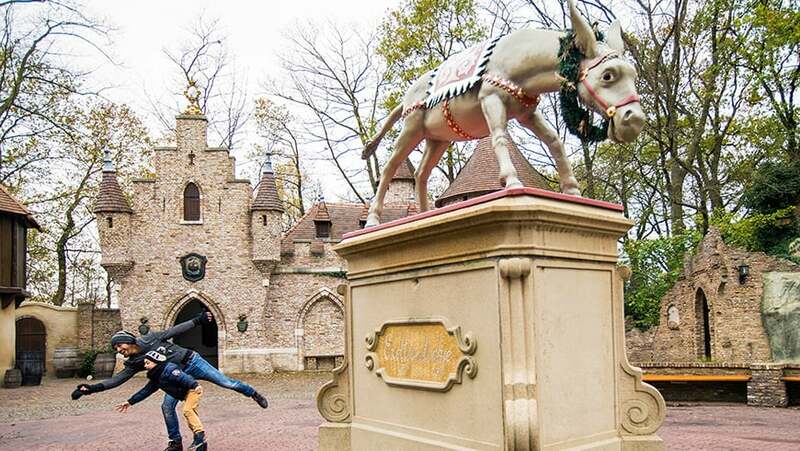 Did you know that the donkey from this fairytale is in the Fairytale Forest? You can find him on Herald's Square. He poops coins made of gold!